Researchers designed a unique facility for testing 3-D printed engine parts, to help reduce carbon emissions worldwide. The new Transient Air System Rig (TASR) was designed and built by Dr. Aaron Costall and his team from Imperial College London’s Department of Mechanical Engineering. The researchers hope it will help makers of large off-road and freight vehicles reduce the amount of carbon dioxide (CO2) they produce. The rig uses fresh air instead of hot exhaust gas, so the 3-D printed plastic parts won’t melt under the usually hot conditions found in normal engine test facilities. It also means makers can 3-D print only the parts of the engine that need testing, instead of building a whole engine. TASR will be used to design and test engine components for new low emissions heavy off-road and freight vehicles, and the researchers believe it will help to reduce CO2 emissions both in the UK and worldwide. Caroline Brogan caught up with Dr. Costall to discuss the new system. Transport produces a quarter of the world ‘s CO2 emissions, but is also the most difficult sector to decarbonise. Between 1990 and 2010, heavy-duty vehicles contributed to 36 per cent rise in CO2 in the EU. 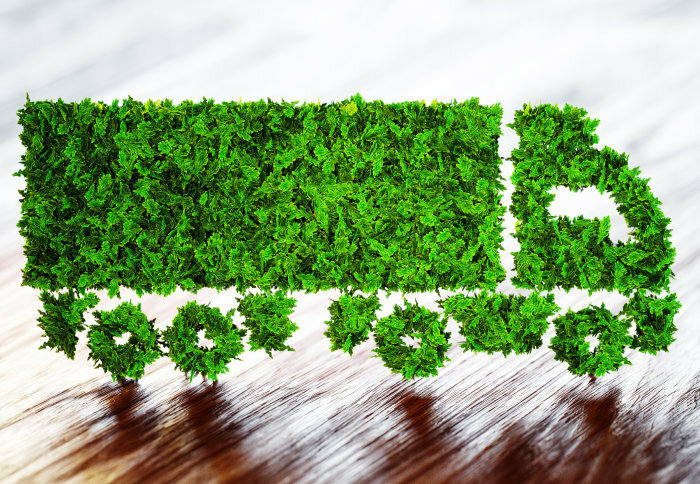 This is largely because of growing demand for road freight, as well as a lack of progress in improving engine fuel efficiency: CO2 emissions are directly linked to the amount of fuel burned. Why is this rig a step in the right direction for heavy freight vehicles? To reduce CO2 emissions, we must improve engine efficiency. We can do this by fine-tuning the engine’s ‘breathing apparatus’, while recovering as much energy from the hot exhaust gases as possible. The parts of the engine that control these processes are collectively known as the air system, and a critical component of most modern air systems is the turbocharger. Our research examines ways to improve air system and turbocharger performance to quickly increase air intake, while recovering energy from the exhaust gas. We do this by trying to understand how the exhaust gases flow through the air system and into the turbocharger, while trying to take advantage of pressure pulsations, and basically making as easy as possible for the engine to ‘breathe’. In doing so, we reduce the amount of fuel required and amount of CO2 emitted. How does the rig work? Engines are complex. The processes involve a mixture of air and fuel, at continuously changing pressures and temperatures. In the air system, the flow of exhaust gas is actually pulsating because of valve motion. All of this makes it very difficult to accurately predict how engines behave. Now we have TASR, which lets us measure engine performance under controlled but engine-realistic conditions, for almost all sizes and types of internal combustion engine. By imitating the engine’s pulse flow, we remove the need for burning fuel – allowing us to study the fluid dynamics without the confounding effects of heat transfer due to hot exhaust gases. There’s no other experimental facility in the world like it! TASR was built using Lotus’ Active Valve Train system as part of the high performance engine air system project, which is a collaboration between Imperial, Caterpillar Inc., and Honeywell Transportation Systems. It is commissioned as part of the Energy Technologies Institute (ETI)’s Heavy Duty Vehicle Efficiency Programme. Many challenges with vehicle emissions can be met through electrification, as long as the electricity is generated from energy sources with lower climate impact, such as natural gas and, increasingly, renewable resources like solar and wind. This is the current approach in the passenger vehicle sector, but the transition to electric vehicles will not happen overnight: There will be a gradual transition over many years, during which time current technology, the internal combustion engine, continues to emit CO2. Furthermore, it is very difficult to electrify, or even hybridize, many heavy-duty vehicles – the energy storage requirements would be immense – which is why energy-dense liquid hydrocarbon fuels remain prevalent. This is even more of a problem for off-road machines, like those used in construction and mining, where the work site may be extremely remote from a viable source of electricity. All of this means that industry and academia must continue to work together to improve engine efficiency, since even the tiniest increase will reduce the amount of CO2 that will be emitted into our atmosphere.